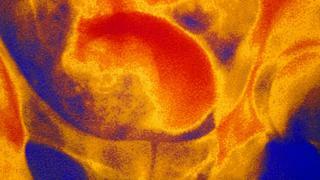 A new treatment for non-cancerous enlargement of the prostate, a very common condition in older men, has been recommended for use by the NHS. It's called prostate artery embolisation. And it blocks some of the blood supply to the prostate using tiny synthetic beads, causing the troublesome tissue to shrink and die. Officials say there is good evidence that the non-invasive treatment works. And it can spare men surgery and side-effects, such as impotence. More than a third of men over the age of 50 have an enlarged prostate, which can make if difficult for them to pass urine. Drugs or an operation can help, but the National Institute for Health and Care Excellence says men should now be offered another treatment option. PAE can be done under local anaesthetic as a day case, meaning patients can go home shortly afterwards without having to be admitted to hospital, unlike conventional prostate surgery. Doctors pass a small tube into an artery in the groin that can be guided into the small blood vessels of the prostate. 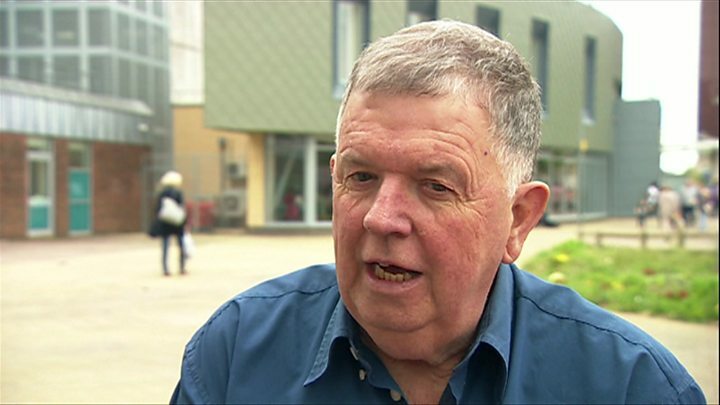 Media captionJohn Scrafton says the treatment has changed his life "completely"
About 20 centres in the UK have already been offering the treatment as part of a trial. Dr Nigel Hacking, consultant interventional radiologist at University Hospital Southampton, said: "It is a particularly good option for men who are not yet ready to undergo more invasive prostate surgery. Maintaining sexual function and fertility is one of its main strengths. "I hope with NICE's recommendations released today, that more centres will be able to introduce PAE services in the not too distant future." The NICE advice is for England, but Scotland, Wales and Northern Ireland can choose to implement it too. In 2016, NICE also recommended another prostate treatment - a laser therapy that can vaporise the overgrown tissue. The prostate gland is part of a man's reproductive system, and its job is to make the fluid to carry and nurture sperm. An enlarged prostate - known as BPH (benign prostatic hyperplasia) - is very common, particularly as men get older, and will not always need treating. Left untreated, it can get in the way of emptying the bladder, meaning you have to go to the toilet more often or need to strain to pass urine. In the long term, this could potentially cause other problems such as urine infections or damage to the bladder or kidneys.